Wittmann is a family-owned company of the fourth generation which has never left its original location and therefore never lost its roots. Embedded in a magnificent cultural landscape surrounded by wine gardens, the upholstered furniture factory is located in Etsdorf am Kamp, not far from Vienna. The company developed from a saddlery with leather remaining the connecting theme. It was the generation preceding the current company management that made the decisive step in the 60s from the saddlery to an upholstered furniture manufacturer and simultaneously developed from a local into an international company. Wittman has enjoyed an outstanding reputation for decades and has successfully established itself internationally. It is managed by the steady hands of Ulrike Wittmann and her husband Heinz Hofter-Wittmann. The company philosophy has always been characterized by an absolute commitment to quality – in the selection of the materials, the careful production and meticulous attention to quality control. However, it is also a general commitment to a quality of life from which the employees, the location and finally, of course, the customers benefit. The Wittmann Furniture Workshops very consciously assume local responsibility. Its employees are trained in-house and often work with dedication their lives for the company. 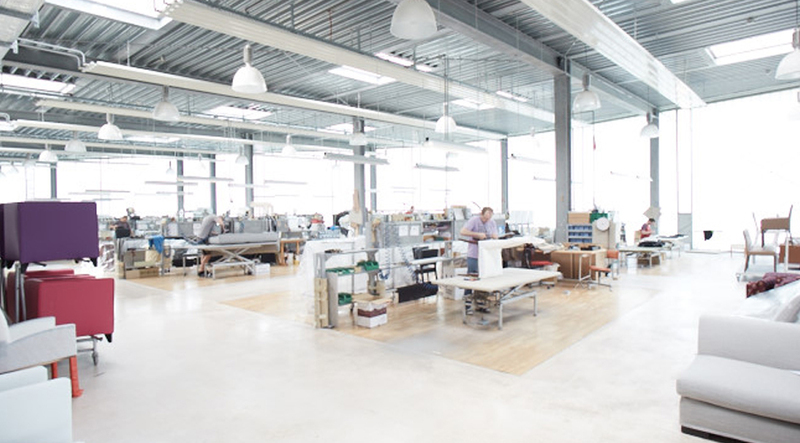 It is not rare for several generations to be working in the company, a clear indicator for their identification with the way of work and the standards of the Wittmann Furniture Workshops.